It’s Timi here today, and I am going to show my take on a great idea that I saw on Pinterest. 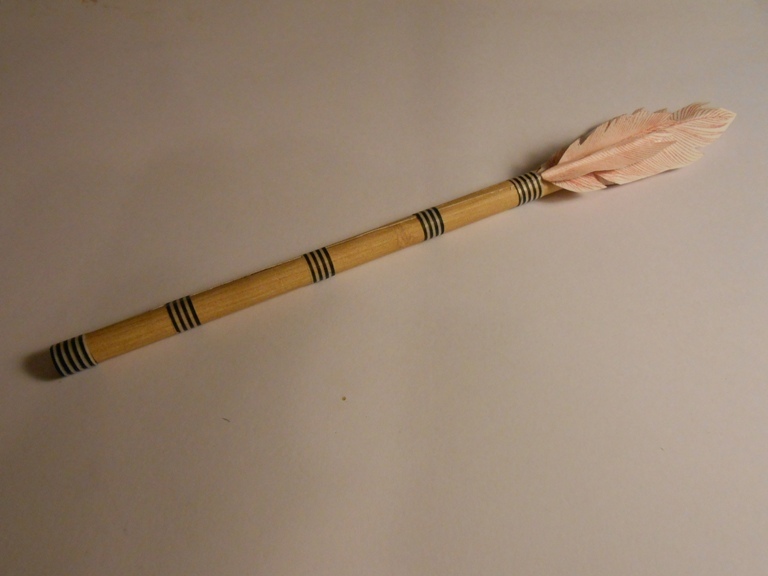 It is an arrow made out of a pencil and some stamped feathers. It is a cute back to school project. No other kids will have anything like this in the school. 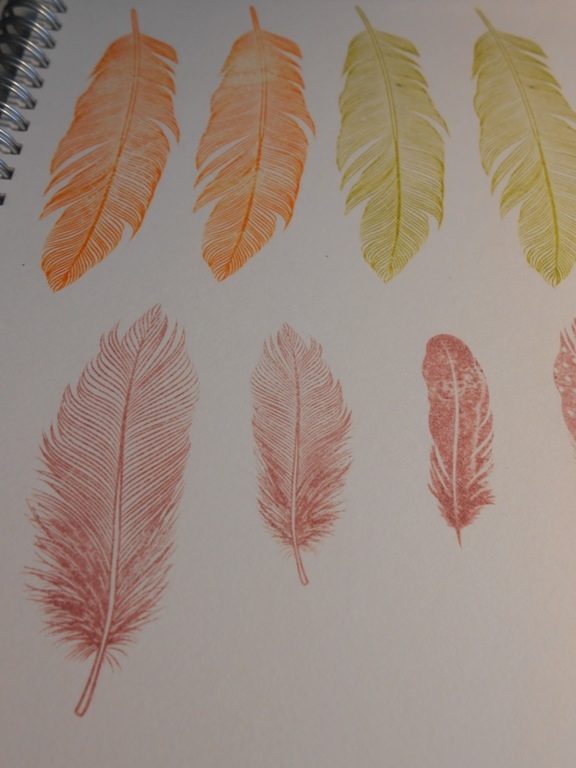 Ink the stamps and stamp a good few feathers in different colours. 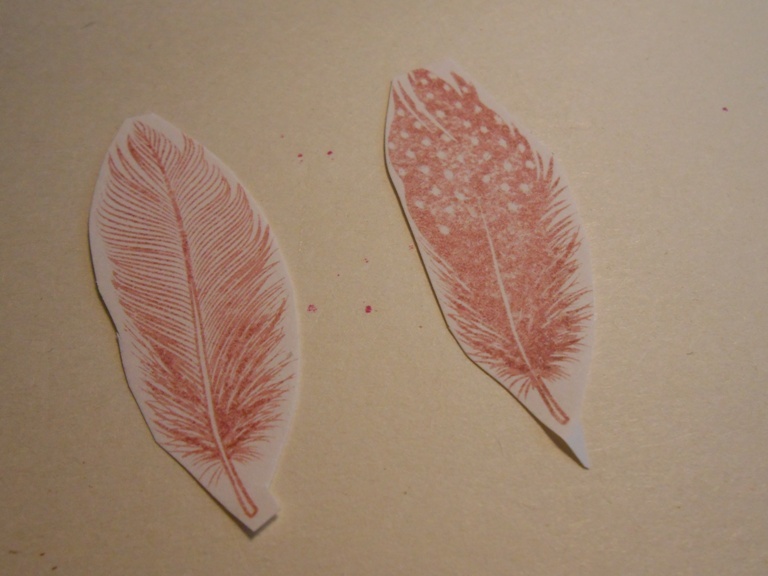 cut the feathers out roughly and turn them around and stamp a bigger feather image on the back, so it doesn’t stay white. If the stamps were symmetrical, you could use the same stamp. 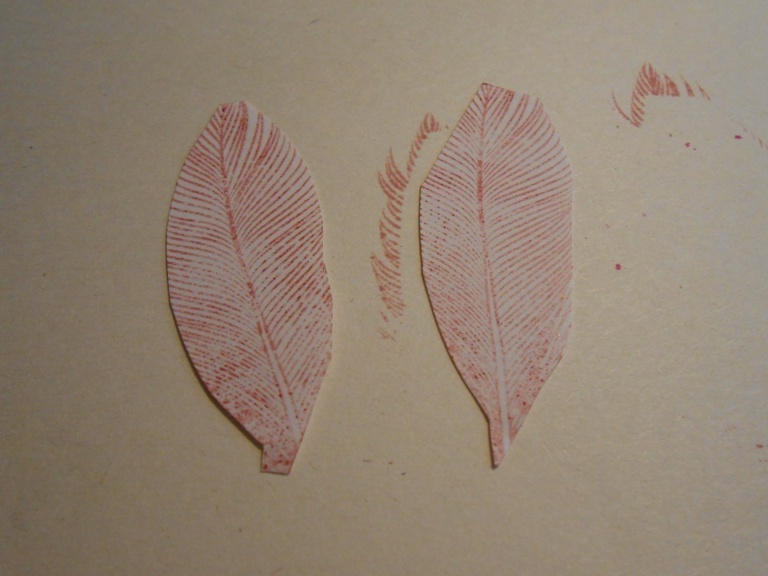 But since they aren’t symmetrical it is better to use a bigger stamp and just stamp it that it covers the back of the cut out feather. 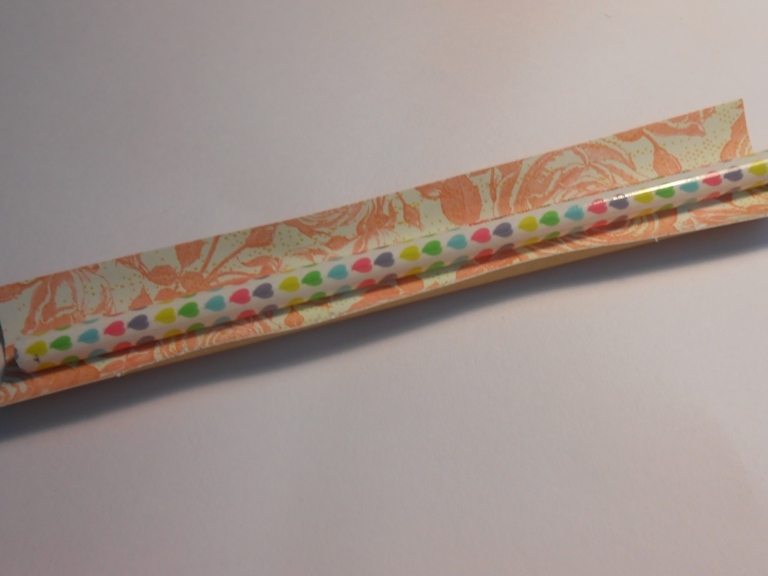 Cut a piece of patterned paper to cover the pencil. I chose this wooden patterned sheet from Studio Calico. Roll the paper around the pencil. Do this a few times until it is easy to glue the paper down and it doesn’t want to roll out. And then glue it on the pencil with a strong glue. Hold the paper down with some rubber bands and let it dry. 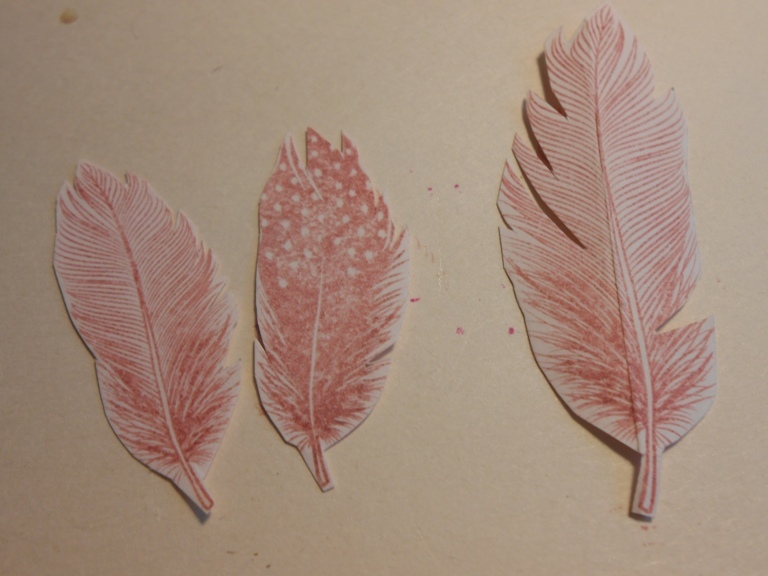 Glue the feathers on the end of the pencil backing each other. You can add a few real feathers too. I added some washi tape for more interest. at this point the pencil should look like an arrow or at least I think it looks like it. 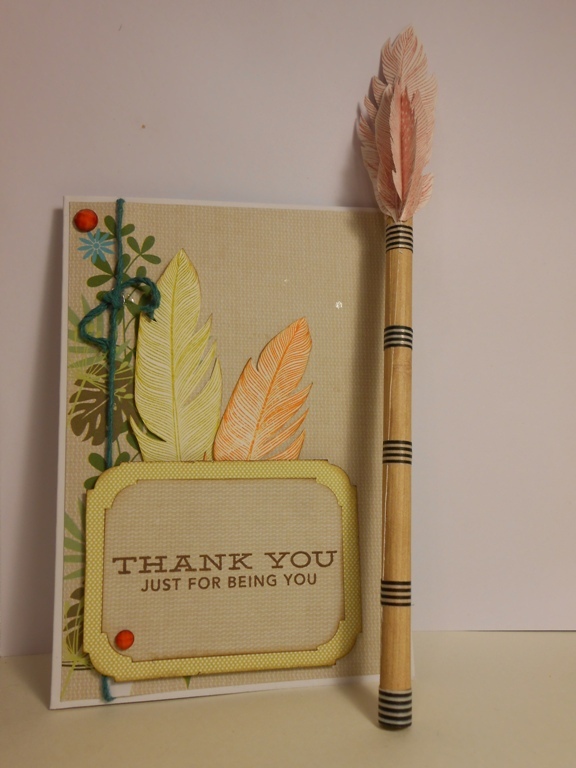 I made a quick card too to go with it using the same Fine Feathers stamps set. This is a great set, so versatile!! I hope you liked this idea and will try it out.